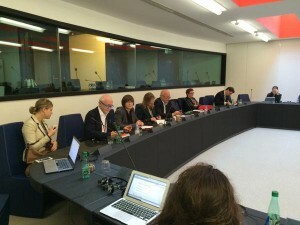 More than 70 MEPs today established an interparliamentary group that will work on the Digital Agenda for Europe. 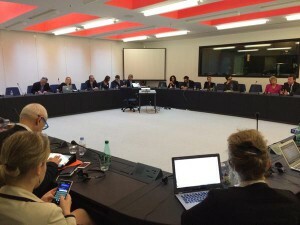 Amongst the founders of the Intergroup are Michał Boni (EPP), Josef Weidenholzer (S&D), Marietje Schaake (ALDE) and Julia Reda (Greens/EFA). They all emphasize the need for an integrated approach toward furthering the digital market and discussing the future of technologies and the open internet. Currently, the European institutions are preparing legislation to create a Digital Single Market. Removing unnecessary barriers in the telecoms market and harmonizing copyright laws are important for many industries as well as the European economy as a whole. Through the organization of events and exchanges of views, the Intergroup will seek to advance the development of smarter, more relevant EU policies that promote fundamental rights, prosperity, learning and participation. “If we want to avoid drift in Europe, we need to use all digital drivers for development, start the serious debate with all stakeholders, think in holistic terms and accelerate the implementation of Digital Single Market,” says Michał Boni (EPP). Just the name “digital agenda” gives me the creeps. To me it signals force-feeding digitalization including more surveillance to the public. There is absolutely NO WAY things can get better by “unifying” or “harmonizing” anything. The only thing that usually means, is taking the absolute worst regional thing and implementing it all over the EU. I wish you every bit of good luck in keeping the worst stuff away.